Kanika Mann's character on the show has made some silly mistakes. Every millennial will relate to point numbers 3 and 5. When you mix being cool with being casual, you can simply mess things up. In one of the episodes, Guddan gets an earful from Akshat, when she loses her engagement ring. You must have seen how Guddan thinks she is a born actor, but can never crack an audition. Being in an illusion will not let you become responsible. Addiction to smartphones has been quite rampant amongst the youth. But like Guddan, if you to get busy clicking pictures on your phone, the tasks at hand will suffer. Only take up responsibilities that you can complete. In one of the episodes, Guddan tells Dadi that she will take care of the Karvachauth responsibilities, but regrets it later when the work gets too much. Rather than quickly jumping to conclusions, you should deal with situations patiently. We have seen how Guddan has made wrong choices in haste. Those familiar with the show will recall that her allegations backfired when she claimed that Durga was the person behind her kidnap. If you relate to these mistakes, then let us know how have you started working on them. Comment below! 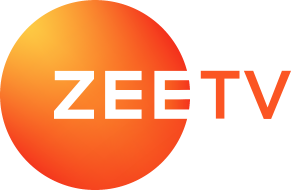 Guddan Tumse Na Ho Payega is streaming on ZEE5. Watch now! Zee5 Original Thriller Pahuna Starring Raima Sen Is A Must Watch!